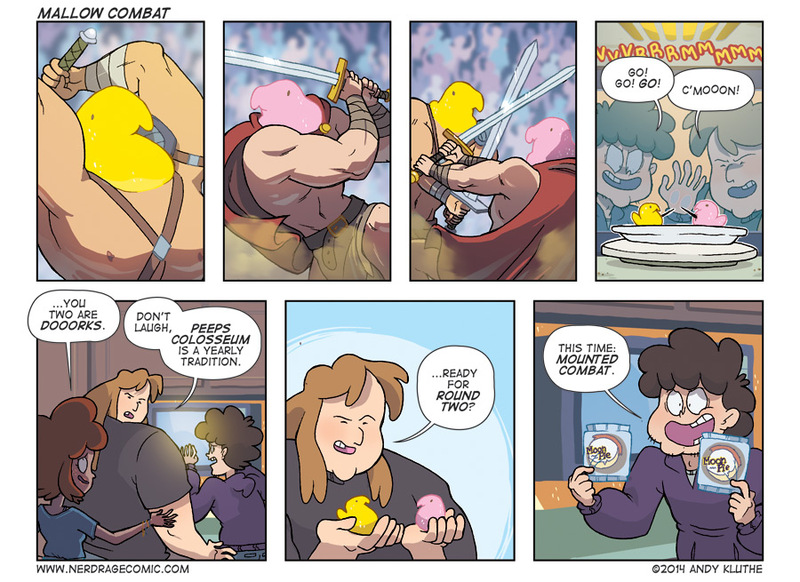 Two peeps enter, one peep leaves! Two peeps enter, one peep leaves! Whether this weekend is Easter, Magic Rabbit Day, Game of Thrones Night or a regular Sunday to you, I hope you have a great day. Eat a whole bunch of peeps before they're out of season.